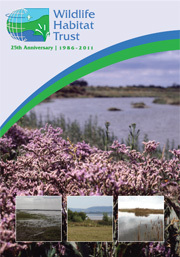 Each year the WHT issues a £5 stamp featuring specially commissioned wildlife artwork. All funds generated by the sale of these stamps are distributed to deserving projects through the Wildlife Habitat Trust and the Wildlife Habitat Charitable Trust (Registered charity no. 1013816). 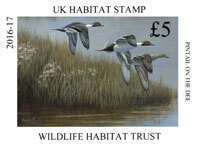 This year’s WHT stamp has been painted by wildlife artist Alastair Proud and features Pintail on the Dee.